The Rare Book Collection supports legal education and research at The University of Texas by preserving and interpreting canonical and foundational legal works in both the civil and common law traditions, with a special emphasis on practice materials, legal education, dictionaries and reference works, Texas legal history, and precursors to Texas law. The Rare Book Collection has an outstanding collection of Texas legal literature dating from the period of Mexican Independence, through the Republic and into the early twentieth century. This collection is complemented by robust collections of material from all the precursors to Texas law: Roman, Spanish, Mexican, and Anglo-American law. The collection currently numbers approximately 10,000 volumes. Image from Jakob Spiegel. Lexicon juris civilis. 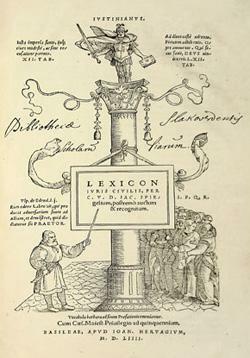 Basel: apud Joannem Hervagium, 1554. Two members of the Law School's original faculty, Professors O.M. Roberts and R.S. Gould, donated their private libraries to the law school in 1884. 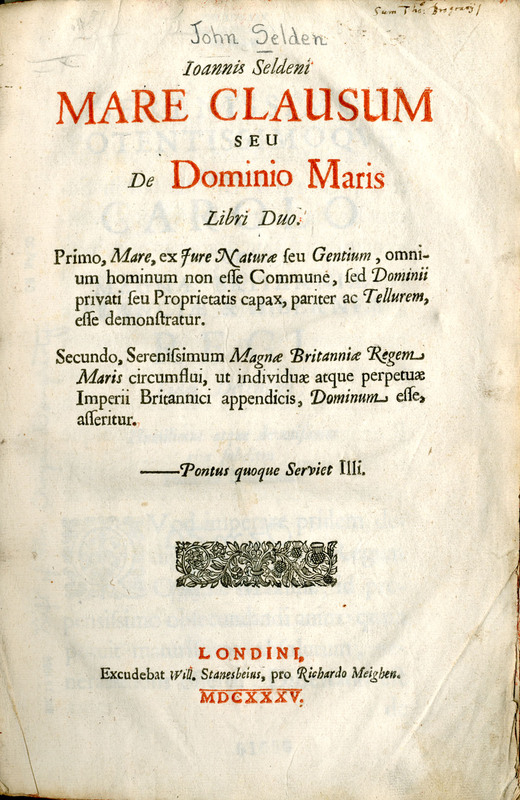 A number of these volumes are now in the collection. legu[m] anglo[rum], London: John Rastell, 1530. If you have questions or suggestions about this page, please contact Rare Books. Tarlton's collection of law dictionaries focuses on works from the Americas, the British Isles, and Western Europe. 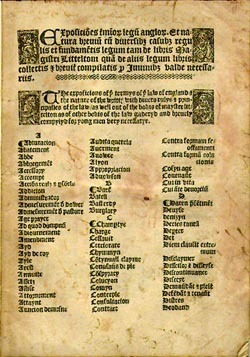 Among the over 200 editions are the Tarlton’s Millionth Volume – an early edition of the first English law dictionary ever printed – John Rastell, Exposiciones terminorum legum anglorum (London, c. 1530), and the oldest book in the collection, Vocabularius utriusque juris (Strasbourg, 1476). Many of the most important printers in Europe are represented in the collection. These individuals and their workshops produced dictionaries in all sizes from tiny duodecimo pocket dictionaries to large folio editions, written not only for scholars, law students, and practicing lawyers, but also for merchants and other lay persons. The Republic of Texas existed from March 2, 1836, to February 19, 1846. It was formed after Texas successfully seceded from Mexico following the Battle of San Jacinto and ended on December 29th, 1845, when the Annexation of Texas into the United States of America was approved. In the intervening years, the matter of governing the new nation was an immediate concern, as was determining the laws applicable to the region. Ordinances and Decrees of the Consultation was a first attempt at codifying uniquely Texan law. During the next ten years, the Congress of the Republic of Texas held nine regular sessions, and six second or extra sessions. The Library holds all imprints of the session laws from this period, and a robust assortment of other material. By the 1840’s, the economic health of the young Republic of Texas began to falter, and Republic leaders again began to consider annexation by the United States as a solution. 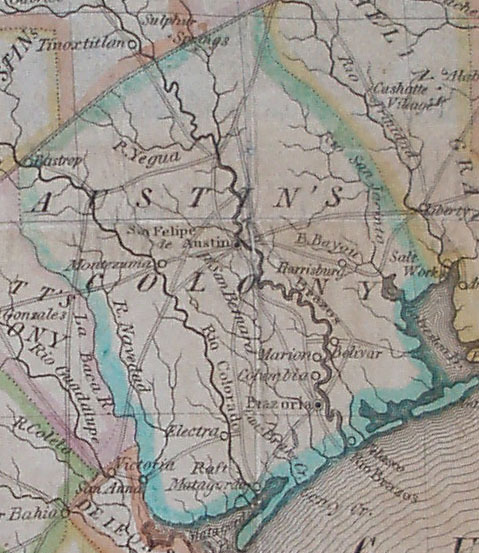 On December 28, 1845, the Annexation of Texas was approved, and Texas officially became a state December 29, 1845. During this short period, literally thousands of works, from broadsides and government documents to histories, guides for potential emigrants, and various narratives, were printed. Tarlton Law Library's collection of early Texas materials helps support the curriculum and mission of the University of Texas School of Law. ​Tarlton Law Library holds a collection of more than 1,100 early modern legal manuscripts, primarily from what is now the United Kingdom. The earliest date from the fourteenth century and the most recent are from the early twentieth century. The manuscripts vary in size, length, and material. 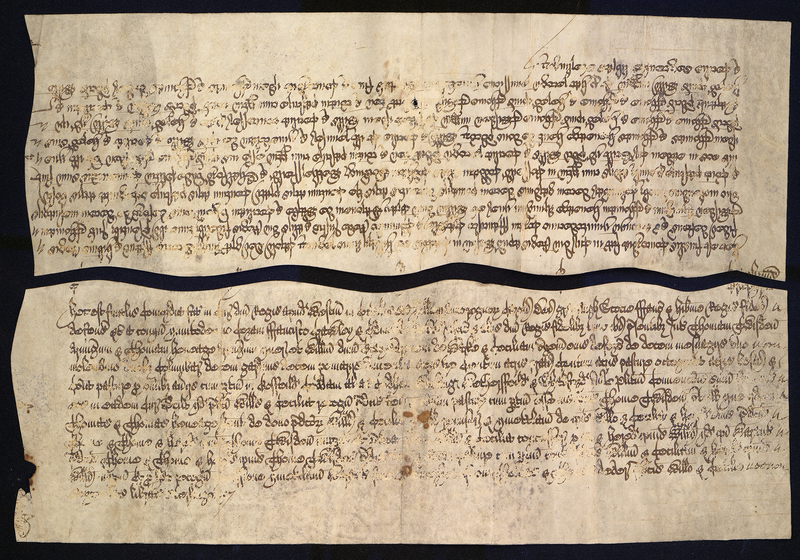 Some are a single sheet of parchment just a few inches across, others are multiple pages on the largest parchment available (about 28" X 33"). Still, others are written on paper. Almost every conceivable kind of legal transaction is represented, as are documents from civil, criminal, and ecclesiastical courts, although the majority of the documents are property transactions. The collection is one of the largest legal manuscript collections in any academic law library in the United States. Fine and private press editions are prominent in most rare books collections. The challenge to a collection like that held at Tarlton is finding titles that are related to law. Operating within those confines, the Library has nonetheless amassed a collection of over 300 fine and private press editions. 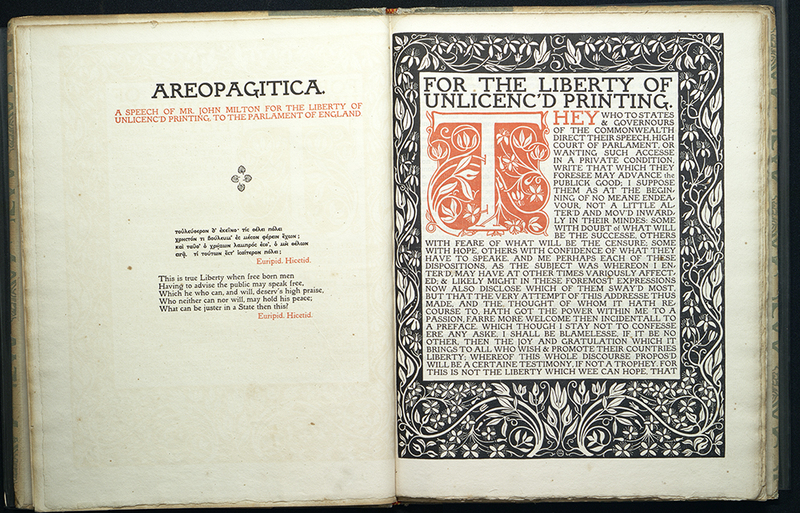 The British fine presses of the late nineteenth and early twentieth century embraced the return to craftsmanship that typified the Arts and Crafts movement. Their books were characterized by a combination of carefully chosen texts, high quality materials, beautifully decorated pages, and equally exquisite bindings. Fine printing from this era was deliberately retrospective. Artists found inspiration in medieval manuscripts, early printed books, early modern engravings, and pre-industrial printing methods. 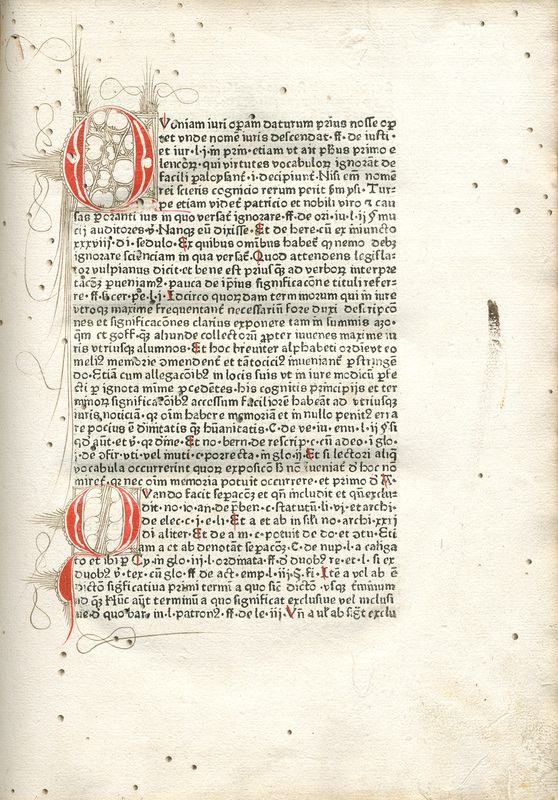 Elements from the height of early modern printing such as elaborate printer's devices, architectural or floral borders, and colophons are all hallmarks of fine press. Chauncey D. Leake, Jr. (LL.B, University of Texas School of Law, 1955), a long-time benefactor of Special Collections, inspired Tarlton Law Library's Fine and Private Press Collection. One of the highlights of the Tarlton Law Library’s Rare Book Collection is a collection of works by the Englishman John Selden, the renowned legal scholar who lived from 1584 to 1654. A man of many talents, Selden had wide and varied interests that spurred him from his foundation as a lawyer to become also a historian, religious scholar, linguist, antiquarian, and member of Parliament. Not least among his accomplishments was that of being a distinguished and prolific author. Selden wrote dozens of works on a range of topics, from his first compositions on ancient Assyria to his last efforts on Judaic law. The Tarlton Law Library is fortunate to have first or early editions of all of his writings.